Donatalia was raised in a life of privilege in St. Petersburg before the fall of the Romanovs and had been in training to be a ballerina. Her father, a textile factory owner, sent her away as the restlessness in the city grew worse, and on the way to New York broke her leg. Unable to be a professional dancer anymore, she leaves her aunt and explores the United States. When she meets the circus "royalty" she knew in Russia, it's almost fated that she would join the circus as their fortune teller. 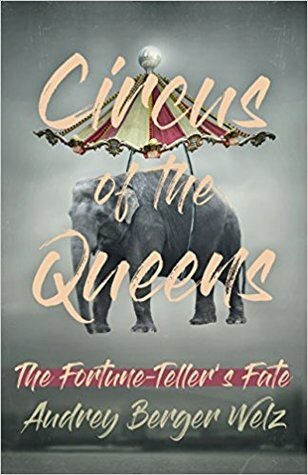 Circus of the Queens is a fascinating look at the turn of the century from Donatalia's point of view. The chaos of St. Petersburg was somewhat muted because of her age and being sent away from it all before it got bad, but those familiar with history can clearly tell what's going on in the city. We get a look at New York and Savannah, as well as the stories of the people in Donatalia's life. It's fascinating to see the inner workings of a circus, which becomes Donatalia's family. "Being the only child of a widowed successful businessman, I found that I enjoyed the commotion of family life and the unconditional love that I never had to ask for but was boundless and freely given." It's actually beautiful to see how Donatalia gets along with the others and becomes the aunt to Vladimir's two sets of twin daughters. She does find out about those left behind in Russia, cementing the circus as her family. It's a sad and heartfelt part of the story because there's as much loss as there is the pleasure of a found family. There are definite adventures as the novel takes us through her life and the lives of the circus members through the years. Even the slower parts of the novel don't drag and serve a purpose. Circus of the Queens is a beautiful family saga, and some of it gave me chills while reading it. It's an excellent historical fiction book.